SSK - slip, slip, knit -- typically you will see instructions tell you to slip the two sts knitwise, which is fine. Myself, I slip the first knitwise and the second purlwise, which I think makes the decrease a bit neater. But it is up to you how you slip the stitches. 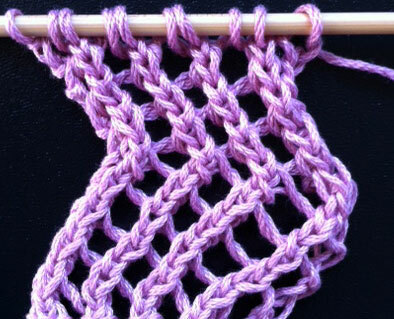 This is a very pretty stitch pattern. I'd love to see the vertical one please. 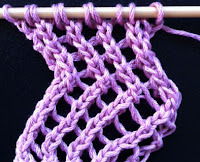 Now, I trying to decide where to use this stitch! Not sure if that is exactly the same or not.